Although often steel, such shelves can also be constructed from wood, plastics or other metals. For the decking a hybrid mix of materials is not uncommon – wooden or lightweight plastic shelves can be constructed within a steel frame so that they still lock together using steel rivets into steel uprights or brackets. Plywood and 5/8″ particle board are common. Your choice is more likely to be between solid and wire mesh shelves. Wire mesh has a weight advantage, but has correspondingly reduced load-bearing capacity. Mesh shelves are also unsuitable for small items that could fall through the holes of the mesh. For extra load-bearing and safety, types that use double rivets are also available. For improved aesthetic appearance as well as safety, the rivets can be concealed from view (follow this link for an example rivet shelving). 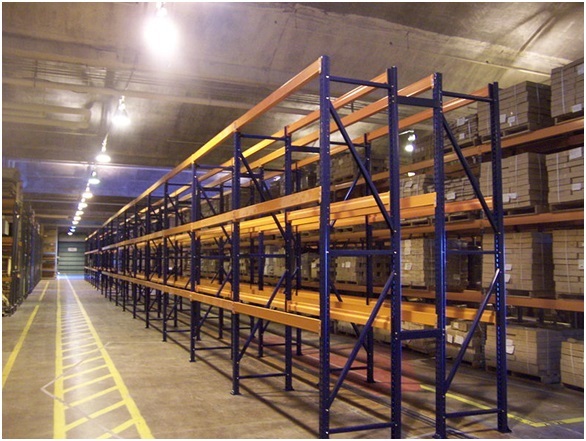 In the UK the precise requirements for the safety of shelving are spelled out in HSE INDG412. Ireland’s system is vaguer but essentially imposes the same responsibilities. Regular inspections should be carried out by a “competent person”. To ensure your inspector will be recognised as competent under the law it is wise to use professionally accredited installers. 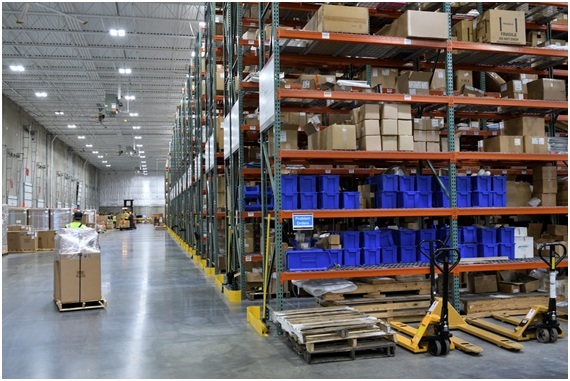 Although riveted shelving can come in an enormous range of sizes, the most common use for it is for the bulk storage of larger items – things like construction supplies, canned foods, engineering parts, or loose bulky or non-uniform items. It is also ideal for a busy office’s paper archiving requirements, and is easily moved and re-erected in response to changing needs. For most commercial purposes it is the most economical solution.